2017 marks the third year I've been fortunate enough to photograph this beautiful duo. In 2015 we romped around Pacific Beach. 2016 we played in Balboa Park. It only made sense to get into nature for their 2017 shoot. 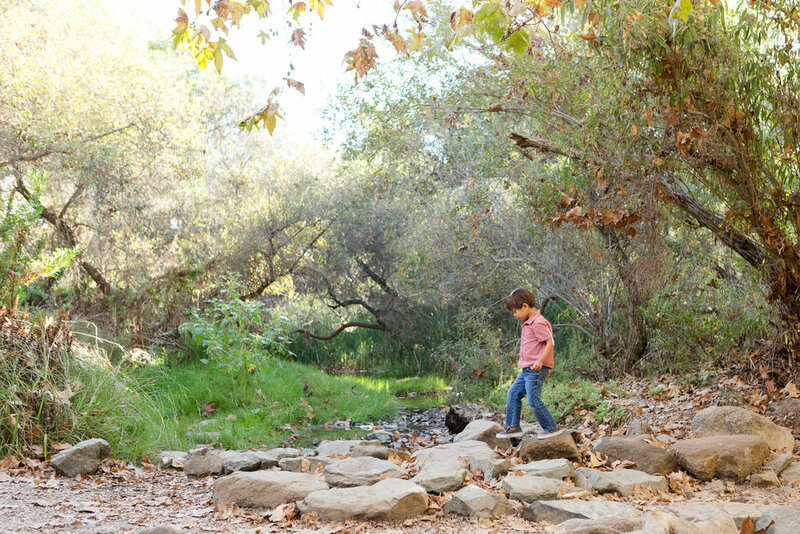 We met at San Diego's Los Penasquitos Canyon Preserve on a brisk fall morning, to explore some trails and streams. 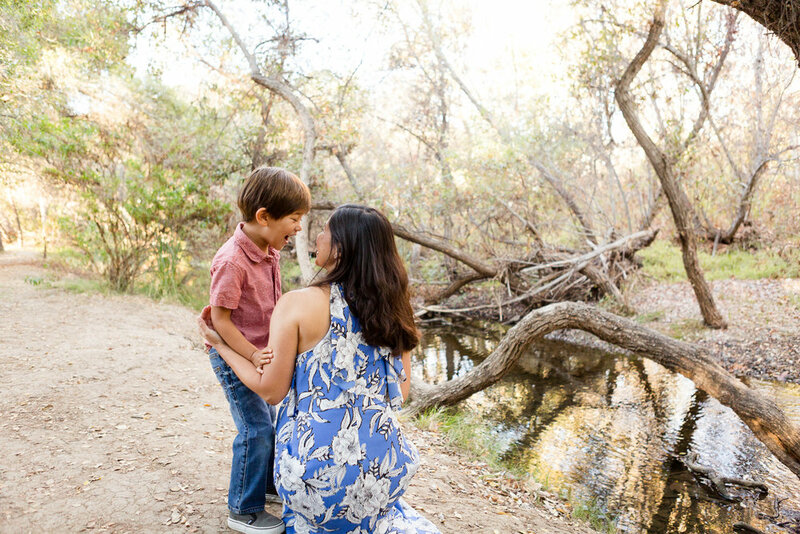 This adorable mother and son skipped rocks, played hide and seek, and this sweet boy wanted to tell his Mama lots of secrets. My heart melted watching these two together, and witnessing the tight bond they have. 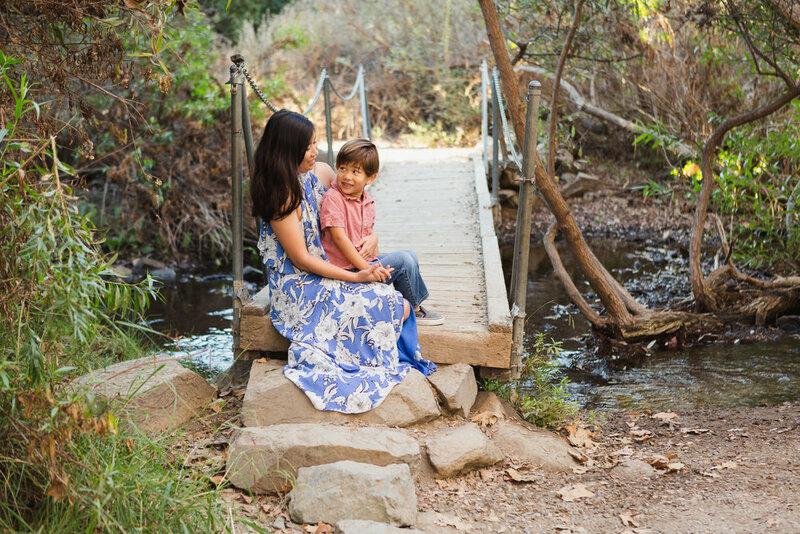 In a world where everyone is busy, distracted, and stressed, this mother and son stand out because they live life in the moment and soak each other up. 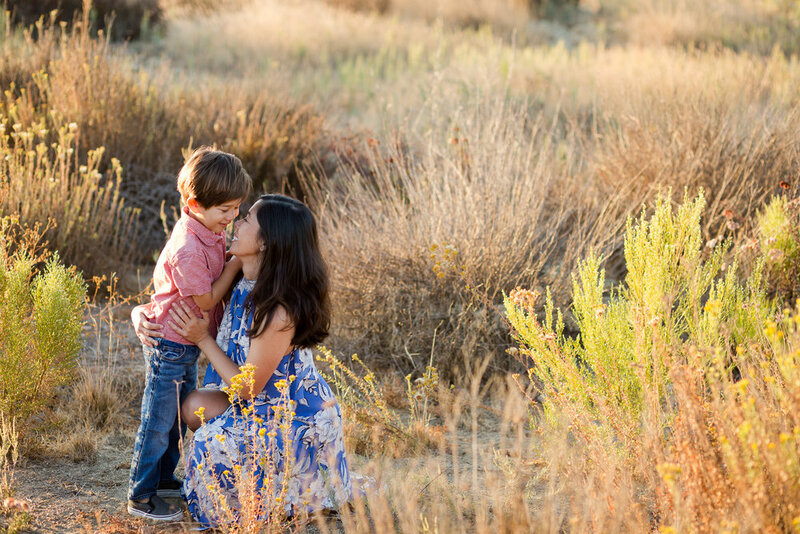 Thank you for another amazing session Kennedy family! You are an inspiration for me in so many ways!